I photographed this proposal just before sunset at The Georgetown Waterfront along the wooden pathway that runs by the water. It was the perfect shot capturing the presentation of the ring and ring being placed on the finger for the first time! 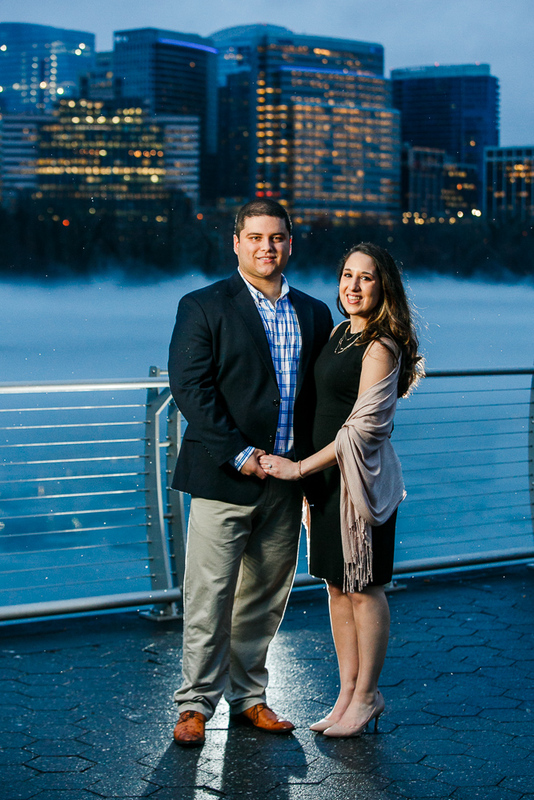 After the surprise proposal we captured additional portraits after sunset. I love photographing couples at night with off camera flash and getting creative with lighting! Here are some of my favorite images! I am excited to be capturing this couples wedding in 2019! Always a pleasure when I get to photograph a couples love story from the surprise proposal to the wedding day. Surprise Proposal Photography includes detailed planning & advice, photography session to include capturing the proposal moment & portraits afterwards, and your online gallery of your beautifully processed high resolution images. The online gallery is easy to share with friends and family!